Extraordinary silk wrap from Bhutan. Kelzang Wangmo designed and wove this exclusive piece of art herself. Kelzang uses walnut, pomegranate, onion skin, rhododendron flower, indigo and Artemesia plant to compose the most delicate colours. 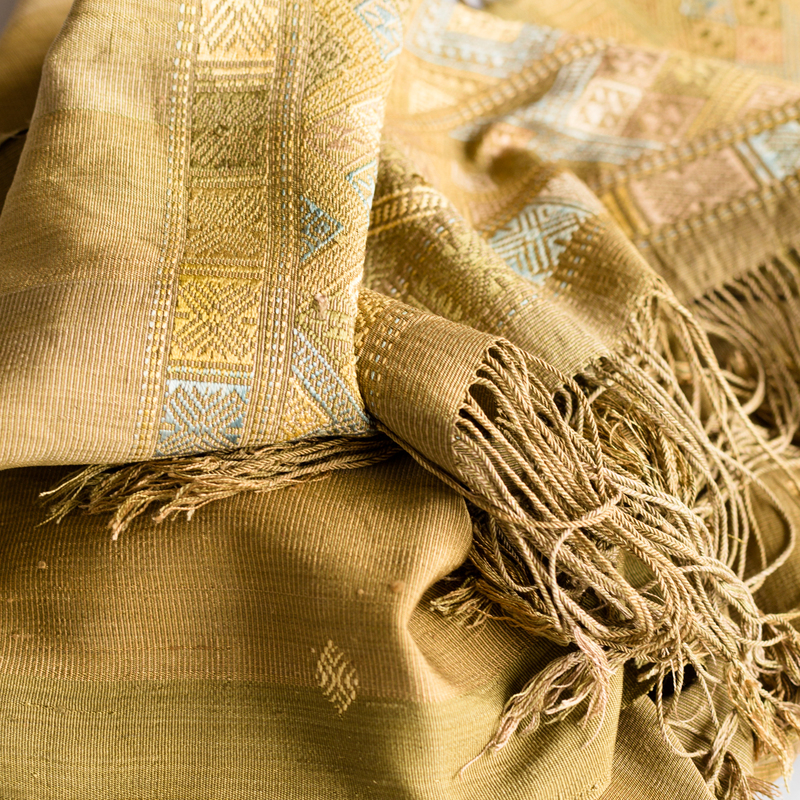 The design Kelzang created, is based on the traditional "Rachu" or ceremonial scarf for Bhutanese women.The natural colour gives it a modern touch as it deviates from the usual vibrant colours of Bhutanese textiles.